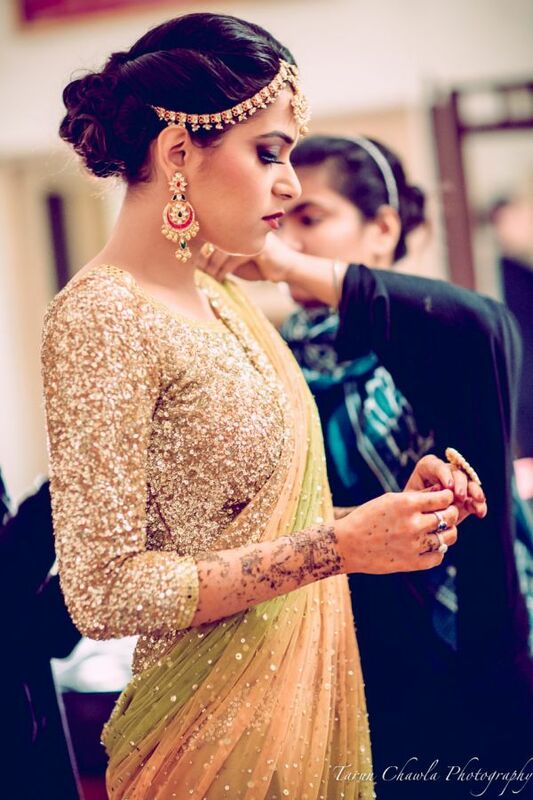 20 Things You Need To Keep In Mind Before You Book Your Bridal MUA! One of the most important things you will do in your bride-to- be journey is scour out the best possible team to bring your bridal vision to reality. We all know that hair and make-up can make or break your D-day look! So here’s what you need to keep in mind before you book the person who’s going to transform you into the ethereal bride you’ve always dreamed of being. Make note! 1. Once your dates are fixed, don’t waste any time. You’ll be surprised how much in advance vendors get booked. 2. Once you zero in on a potential make up artist, ask them straight away when they are available for a trial. 3. We suggest you most definitely get a trial even if that’s a separate cost because meeting the person is of utmost important even though you already like their work that you’ve seen so far. 4. Remember, you should like the people you decide to hire because on your big day – it’ll truly matter. The energy you surround yourself with is of paramount importance. 5. On meeting them, you can discuss the vision for your bridal look. 6. You can even possibly show them reference images of what you have in mind.Just to give them an idea about the look you have envisioned. 7. You should ask them about their team and how many people they will bring with them. 8. Ask them if they will do hair and makeup both themselves. 9. Ask them about timelines. You shouldn’t assume how much time it’ll take to get you ready. They are the experts so ask them how they like to work. 10. Discuss the possibility of a package deal in case you have more family members getting ready along with you. 11. In that scenario, also ask if they would bring a bigger team. 12. Be honest plus realistic about timelines. Indian weddings are notorious for delays. 13. If it is a destination wedding, then clarify everything from date-availability to stay even before you book them. 14. Discuss the function you have prior to the one you are booking them for. 15. Discuss the venue – outdoor/indoor, location, etc because that does change how they approach the process. 16. If you are someone who is very keen on a simple and no fuss look, tell them that right at the start so they know what kind of bride they are dealing with. 17. Ask them about the products they use without sounding like a teacher. You don’t need to overwhelm them. 18. Ask them if things like sari draping, nail polish, etc. are included in their package. 19. Also discuss any skin treatments, laser hair removal, or facial regimen you are currently following so they know what to expect of your skin and how to deal with it. 20. Lastly, once the money is decided upon, do not haggle further on price. Have a good relationship with your MUA from the start and watch them put their heart and soul into your dream look. Make-up artists are professionals and you can trust them with your vision, but you must respect their craft and work toward that synergy from the start.